Bio-mimetic Dentistry is the use of restorative materials that have been specifically designed to mimic your natural tooth structure and be safe to the surrounding tissues. 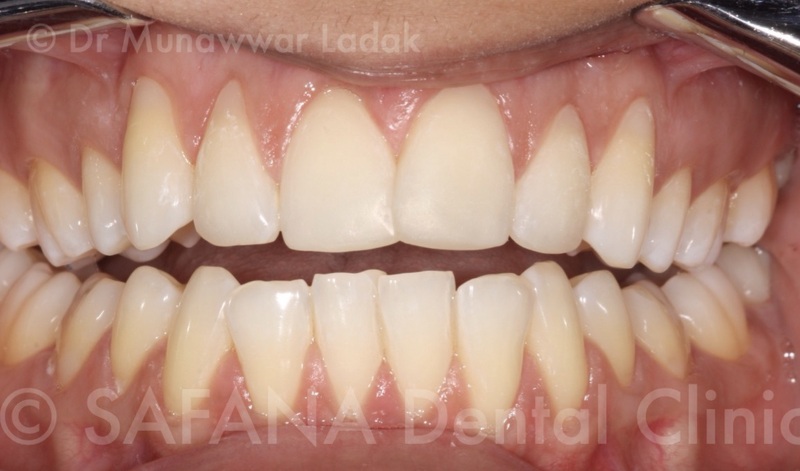 Dr Munawwar Ladak specialises in using these conservative techniques wherever possible to protect, preserve and, when required, also to enhance and strengthen your own teeth. Aesthetic, mercury-free materials, that seamlessly strengthen and bond to your teeth. 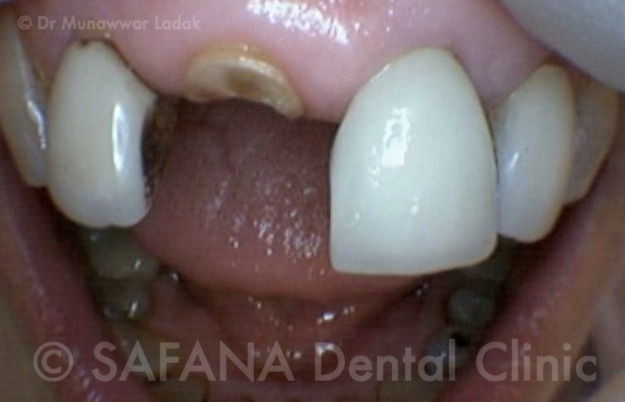 We only place bonded tooth-coloured fillings at Safana and do not use 'silver' amalgam. 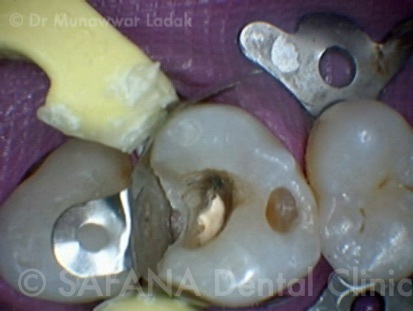 We do not believe that all amalgam is bad - there are many types of various qualities. Higher quality types can last for many years and are more resistant to corrosion and breakdown. 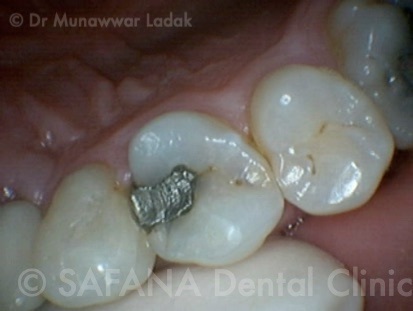 Poorer quality amalgam fillings tend to tarnish quicker and can leach metallic breakdown products into your body. These types are better replaced. 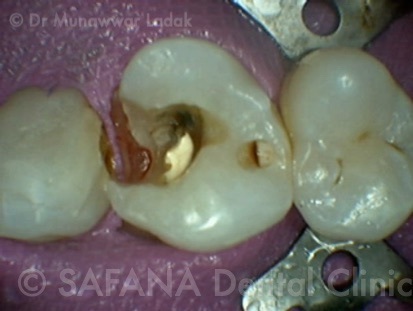 Amalgams do not bond predictably to your tooth structure, so can leak, cause sensitivity and lead to fractures in teeth. They have more natural aesthetics. 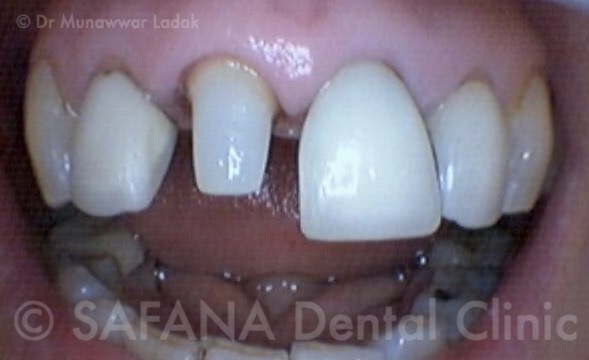 Aesthetic, metal-free materials, that strengthen the remaining tooth, rather than weaken them. Our aim is to save and restore your teeth rather than remove and replace them. Here, the tooth was complete sheared off at gum level. 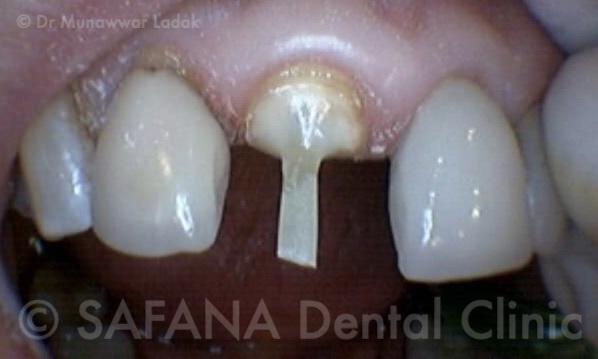 Root canal treatment was undertaken and the tooth was then built up with a quartz fibre-glass post and composite core - safer than conventional metal-posts as they are passively bonded and strengthen the root from further damage. 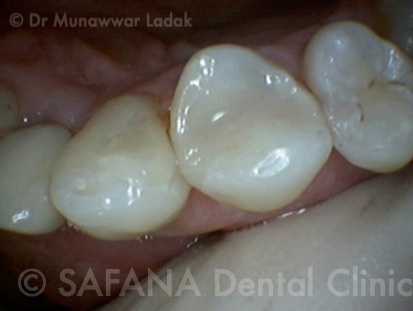 An All-Ceramic crown was made to seamlessly bond to the remaining tooth root and core build-up. 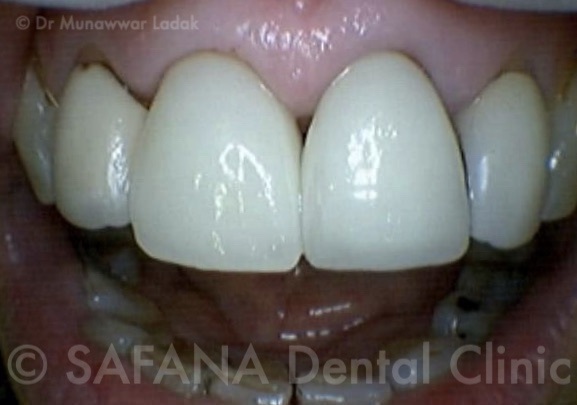 This is lighter than a conventional metal-based crown and gives better aesthetics at the front of the mouth. The lifespan of your teeth. 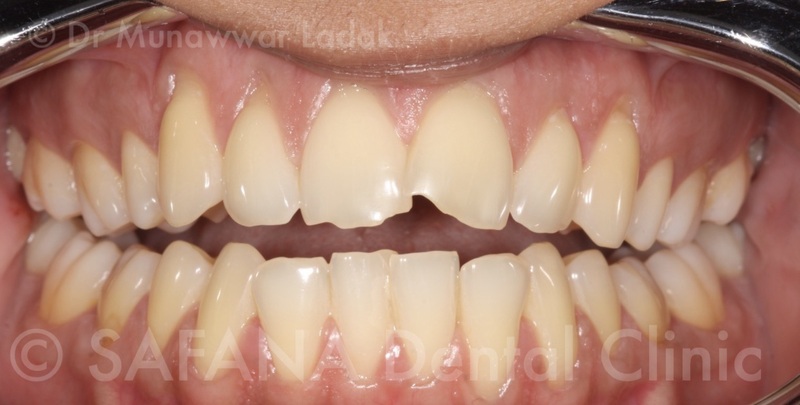 The treatment can be combined with whitening the teeth - to brighten them in a safe way and improve their aesthetics.